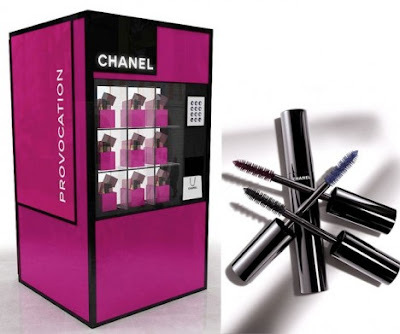 Parisian cosmetics label Chanel is serving up mascara via innovative vending machines at Selfridges for a limited time only. Chanel famously first created ‘human vending machines‘ in 2012 at Fashion’s Night Out, but the luxury label has taken a robotic leap into the future with its latest project. London beauty fans are now able to get their hands on Chanel’s first volumizing mascara via automated vending machines at the Selfridges department store. The mascara is available in three shades: ‘Noir’, ‘Prune’ and ‘Bleu’, and the applicator features a unique ‘snowflake’ brush designed to lengthen and separate lashes as it coats them with quick-drying mascara for a volumizing effect. Until May 8, customers will be able to use the machines at the central London store, with eye makeovers supplied by Chanel’s beauty experts.